Specialising in arranging MG insurance for over thirty years, we were formed as the insurance division of the MG Owners’ Club (MGOC). Now independent, we continue to work closely with the club, not only to arrange bespoke and tailored insurance for members, but on a range of activities that help keep our association so strong. We’ve been the headline sponsor of the MGOC Race Championship for many years, with our own driver, Martin Wills, battling for the title this year. In 2015, with a large number of MGOC members taking part, we set a Guinness World Record for the largest parade of MGs! 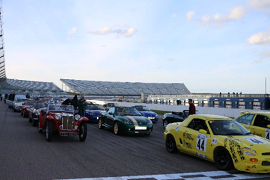 144 MGs took to the track at Rockingham Raceway and it was great to see the community out in full force celebrating the marque! 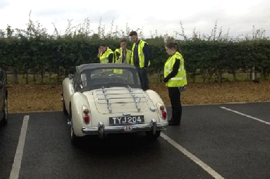 We believe that with our ongoing support and commitment to the club and its activities, our staff are better placed to help arrange the right policy, whatever you plan to do with your beloved MG.
From J-type Midgets, to MG As, Bs & Cs, to saloons such as the Magnette and Montego, as well as the modern MGs such as the Z cars, Fs & even the SVR, we can cater for all models of this iconic marque. To find out what Lancaster can do for you, contact us on 01480 400 829 or Click here to find out more.